The on-going protests in Hong Kong have obvious (and important) implications for Hong Kong itself as well as for mainland China. But the protests will also play an important role in Taiwan. How Beijing handles the protests in the coming days will affect both cross-strait relations and Taiwan’s domestic politics. 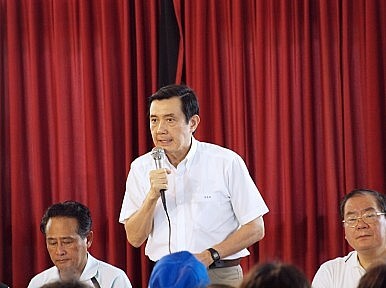 Ma concluded, “It is our belief that it will be a win-win situation for both Hong Kong and the Mainland if Hong Kong residents can freely choose their chief executive.” In separate remarks delivered at a KMT meeting, Ma went further, warning that if Beijing missteps in its handling of the protests, it will have consequences for cross-strait relations. In his statement, Ma also referenced the fact that many Hongkongers have come to observe Taiwan’s elections, underscoring the unique relationship between Taiwan and Hong Kong. For democracy activists in Hong Kong, Taiwan is an example of how democracy can be implemented successfully. In fact, some Hong Kong protest leaders were inspired by the Sunflower Movement protests that occurred in Taiwan in March of this year. In return, student activists in Taiwan have offered their support for the Hong Kong protests, which some are calling the “Umbrella Revolution.” Sunflower Movement leader Chen Wei-ting led a protest outside of the Hong Kong trade office in Beijing to show support for Hong Kong’s protestors. If activists in Hong Kong see Taiwan as a role model, Taiwanese activists see Hong Kong as a cautionary tale. Taiwan has been offered unification under the “one country, two systems” formula that now governs Hong Kong-mainland relations. Chinese President Xi Jinping reemphasized this offer just before the Hong Kong protests broke out, calling “one country, two systems” one of the “guiding principles in solving the Taiwan issue.” Given the current discontent in Hong Kong, Xi’s remarks were not exactly reassuring. Instead, they underscored perceptions in Taiwan that Hong Kong’s present could be Taiwan’s future. Any sign that Hong Kong’s uniqueness is being eroded raises concerns in Taiwan. The remarks from the KMT and DPP touch on similar themes: support for Hong Kong’s demand for full democracy and calls for Beijing to use restraint in handling the protests. However, there were differences as well, and those differences point to the deeper political divide between DPP and KMT. In his remarks, Ma Ying-jeou held out hope that Beijing will keep its promises to Hong Kong, especially those regarding self-administration and autonomy. Ma has staked his political legacy (and probably the KMT’s electoral success in the next presidential race) on the wisdom of improving ties with China. The Sunflower Movement already showed that thousands of Taiwanese question this approach; should Beijing take a hard-line stance on the Hong Kong protests, it would further inflame anti-mainland sentiment on the island. Ma knows that this would be disastrous for his own political legacy, and for cross-strait relations. The DPP, meanwhile, has long cautioned against getting too close to Beijing and sees the Hong Kong protests as vindication of its warnings. DPP spokesman Huang Di-ying emphasized the raw deal Beijing is forcing on Hong Kong: instead of “true democracy freedoms,” he said, Hong Kong received “an unyielding version of ‘one country, two systems’ and a birdcage election law that made a mockery of what the people of Hong Kong had come to expect.” Joseph Wu put even more emphasis on the implications for Taiwan, noting that the Taiwanese will know what to expect from reunification with China by watching how Beijing handles the Hong Kong protests. In an email to The Diplomat, Michael Fonte, the DC-based director of the DPP mission in the U.S., quoted a Chinese blogger’s comments on Taiwan: “On the other side of the sea, Taiwan erected a mirror. And on this side of the sea, we saw ourselves in the future.” Today, the situation has been reversed. People in Taiwan are seeing their future in the “mirror” of Hong Kong — and so far, they aren’t pleased with the reflection. As Taiwan's Election Season Begins, Beijing Points to Red LinesIt's Official: DPP's Tsai Ing-wen Is Taiwan's Next PresidentThe Rise of Taiwan’s ‘Third Force’KMT Candidate to US: 'Cross-Strait Peace and Stability on the Line' in Taiwan ElectionWill the Ma-Xi Meeting Backfire for Taiwan's KMT?